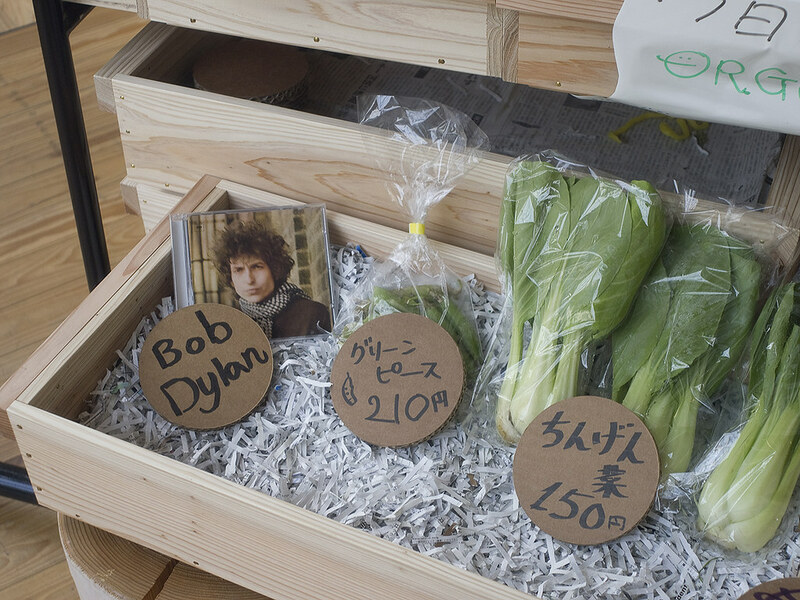 A Japanese trying to find the truth between bob Dylan and bible. Bob Dylan's masterpiece Rainy Day Women #12&35 was recorded as the first track of his seventh album, Blonde on Blonde, the album which cemented his reputation as a legend. However, upon its release in 1966, this number was banned from several radio stations because it was considered to contain strong drug references. Dylan's own voice provides the jeers and catcalls resounding in the background during the song, which were apparently interpreted as the voices of people on drugs. That alone of course would have been enough to leave a negative impression, but what really gave the song a black mark, in terms of the perceived drug connection, was of course the lyrics "stone" or "stoned" which are repeated throughout the song. For Japanese people, this may not bring anything to mind, but for English speakers, getting "stoned" is among the most commonly used slang words for using or being under influence of illegal drugs. So, taken in that light, the song's repetition of the phrase "they'll stone you" is more than a little suggestive. If "stone/stoned" had actually been meant to imply drug use, then it is understandable that the song would cause a controversy leading to its being banished from the airways. However, for Japanese people, who lack a native's level of sensitivity with the nuances of English, the usage of "stone" as a verb is unfamiliar. For Japanese people, a stone is nothing more than an aggregation of minerals clumped together along the side of the road. If you check the dictionary, the verb "to stone" is simply to throw stones at someone, which is easy enough for Japanese people to understand. But the interesting part is that the dictionary adds that this usage is usually in the context of a ritualized form of punishment. So, to stone someone is to punish them, as in punish them for their crimes. So, as a ritualized punishment, stoning was a sort of public punishment or execution performed as by the religious community. As a poet, I think Dylan's work shows an inclination towards the religious meaning rather than the drug reference. This song is not a caricature of drugs in modern society. Instead, it can be interpreted as Dylan using a biblical motif to paint a portrait of the universal stupidity of people. So let's imagine the men bringing the adulterous woman into the temple courtyard. They must have been a swarthy group of guys standing around and carrying on. They were probably laughing and mocking the woman. As they brought her in a sort of procession maybe a few of them had a flute or a drum. This kind of scene, evoked by the marching beat of Rainy Day Women #12&35, is easy to imagine. Dylan brings the woman's sadness into focus by contrasting the melancholy of her tears, which fall like raindrops on a "rainy day," with the cheerful melody of the group's wild procession. Within this tentative interpretation of the motif of the adulterous woman from the Gospel of John, the sounds effects of Dylan's laughter can be seen as being directed at "sin." However, Dylan's chagrin is not directed at merely the sins of one woman, he is laughing at the sins of humanity. The "I" appearing in the lyric "But I would not feel so all alone" can also be extrapolated to include Dylan himself. This "I" himself is also going to join in the frenzy of retribution and begin the stoning. But this "I" has a totally different way of thinking that the rest of the men who are simply going to enjoy stoning the woman in accordance with the Law of Moses. The recognition of sin in the eyes of this "I" is closer to the truth presented by Jesus than the laws propagated by Moses. But "I" had not yet found Jesus. Incidentally, at the time of writing this song, Dylan himself had not found Jesus either. As is well known, Dylan became a born-again Christian in the late 1970s. With this sharp rebuke from Jesus, the men dispersed one by one, and finally there was no one left to throw stones and punish the woman for her sins. The men acknowledged that they too were sinners. The woman's sins are not special or unique, all of the foolish actions taken by all people are also sins. Since the men, too, are sinners, then they cannot throw stones at her. Upon hearing the Jesus' simple words, the men's derisive laughter vanished into thin air, and all that remained was the woman and the truth of Jesus. When confronting another person's sins, if you acknowledge your own sins, then your only option is forgiveness. This is the truth Jesus taught. This scene anticipates Jesus' famous admonishment to "love one another" (John 13:34) . When you follow these words of Jesus, then you lose the capacity to throw stones. But the personal theology of Dylan (before he met Jesus), has a slightly different interpretation of the stoning of the woman by giving her a punishment to fit her sin. The refrain of the song goes: "But I would not feel so all alone" followed by the lyric "Everybody must get stoned." While you could take this to mean that everyone must get high on drugs all the time, following the other meaning of "stoned," it also means that each of us must be pelted with stones at some point--the adulterous woman is not alone. The singer, the "I," and Jesus both understand very well that all selfish actions lead to sin. As the lyrics say, even "when you're trying to be so good," you are sinning, or "when you are walking home," you are sinning then, too. So if the men stone the woman, they must throw stones at everyone. Everyone is a sinner; we are all in the same boat. Upon taking that attitude, the jeers and laughter instantly rise to a fever pitch, the wild circus begins--it's a battle royale of stoning. This is "I," the singer's, law: Everyone should stone each other. Dylan would have certainly been aware of these Bible verses. However, he was writing a song using a motif about people who had not yet discovered Jesus, a group which he was a member of at the time. The song is a march of decadence, but it is written for those who must wander in the forest of darkness because they have not yet been illuminated by the "light of life." Elsewhere in the Gospel of John, the following verses further elucidate the relationship between the darkness and the "light of life." As a Japanese person and a beginner both in relation to Bob Dylan and the Bible, I couldn't help but feel my pulsed quicken when I stumbled upon this Bible verse while I was searching for the meaning of Rainy Day Women #12&35. "Whoever walks in the dark does not know where he is going" definitely seems like the kind of phrase Dylan would like. The idea that "Whoever walks in the dark does not know where he is going" seems like a tailor-made phrase to set the stage for the song's march of the foolishness of humanity. It is also a huge coincidence that the verse happens to be John 12:35. Perhaps because Dylan himself did nothing to unlock the mystery of the numbers in the song title 12 and 35, all kinds of theories were bandied about over the years. For example, 12 multiplied by 35 equals 420, which is a number used to indicate "time to get stoned" within drug culture. Or from a biblical perspective, 12 stands for the 12 apostles and 35 is part of a code from the Book of Revelations. All sorts of other theories have been put forth, so I feel it's time to add John 12:35 to the list of entries. But as for which interpretation is correct or even where we should begin to look for a deeper meaning, perhaps only God and Bob Dylan know for sure. Then again, it doesn't really matter what the actual facts behind the song are. It's better, it's more romantic, to just say that God came down and inspired Dylan to put those numbers in the title. Dylan was an avid reader of the Bible, so it's unreasonable to think that he never looked at John 12:35. To tell the truth, when I realized that this song was using the episode of the woman from John 8, I almost reflexively opened up the Bible and checked John 12:35. Of course I didn't have the verse memorized, so when I saw it, my eyes popped out of their sockets. I decided my hunch was right. After I saw that verse, I was sure that, either consciously or not, Dylan had written the song to convey the hidden message, the message of John 12:35. From the oft-quoted introductory phrase "In the beginning was the Word" (John1:1) , the Gospel According to John records the life of Jesus from a unique literary point of view that differentiates it considerably from the other three gospels--and John opens his account of the life of Jesus with a discussion of the connection between the darkness and the light. The relationship between "the light," "the darkness," and being "overcome" is introduced in the well-known verse "the light shines in the darkness, and the darkness has not overcome it" (John1:5) . Most interestingly, these words appear again in the Gospel of John, but as the words of Jesus in John 12:35. Or perhaps it's better to assume that John used the words of Jesus to preface his account. At any rate, it's no exaggeration to say that John 12:35 is one of the key verses of the John's gospel. One can only hope to silence debate over the meaning of "#12&35" by concluding that Dylan, the extraordinary Bible-reader that he is, used those numbers as a code to point listeners to John 12:35. Actually, the meaning of the verse 1:5, "the darkness has not overcome it," is not so easy to figure out. The most generally well-regarded Japanese translation says (if the meaning of each word is translated directly into English): "the darkness has not comprehended it", which is slightly inconsistent with the English translation used in the New American Bible (NAB), which says "overcome." In Latin, this phrase was rendered "tenebrae eam non comprehenderunt". You can already see the correlation between this and the choice of words in the Japanese version--the Latin "comprehenderunt" is the root word of the English "comprehend." So why did the NAB select the word "overcome" instead of "comprehend"? Let us examine John 12:35. In this verse, the Japanese version uses wording that basically matches the NAB's "so that darkness may not overcome you." However, here again the Latin says "ut non tenebrae vos comprehendant", which could therefore rightfully be translated into "so that darkness may not comprehend you." But "overcome" and "comprehend" are different. The subtle meanings and nuances of English, which are quite challenging for Japanese to understand, often evolve according to social and historical changes. So given the range of meanings possible within biblical language, there is always room for new interpretation. So, it is also possible to use and entirely different word as an alternative to either "overcome" or "comprehend." The subject of the sentence is "the darkness," and the verb of the sentence describes how that darkness is dealt with. So what is another appropriate word that fits perfectly in relation to "the darkness"? The problem is finding a single word that fits smoothly with the context of these two different parts of John, verses 1:5 and 12:35. I, myself, as a Japanese person, would like to dive in and suggest a new word. Why not just go ahead and go with "stone"? I wonder how native English speakers would feel about "the darkness has not stoned it" and "so that darkness may not stone you." While it certainly isn't conventional, I think it might strike just the right note. The basic meaning of throwing a rock works well enough, but so does the meaning of being intoxicated. To stone something, to destroy it by use of force, works for the meaning of "overcome." And being stoned, as in under the influence of drugs, can mean to control the way someone thinks, which could be glossed as "comprehend." "The darkness" cannot throw stones at "the light," and followers of the light cannot throw stones, either, because "the light" is free from sin. Let us go back one more time to John, book 8. After the group of men drifted away, only Jesus and the woman remained, "So he was left alone with the woman before him." (John8:9) This is a touching image that is easy to imagine, perhaps as it might be portrayed as a beautifully filmed scene from a movie. I believe that it is this vivid image that drives the singer, "I," to belt out the lyric "but I would not feel so all alone." Bob Dylan had not yet converted to Christianity at that point in his life, but he had already met Jesus. Bob Dylan, through his alter-ego "I," speaks the words straight from the heart of the woman who found herself alone with Jesus, and his voice cries out: If Jesus were with me..."I would not feel so all alone." Masaaki Ikeda is a creative director, and was born in the time when Bob Dylan debut to the music industry professionally. Until recently, just like many other Japanese, Masaaki was not exposed to the world of Bob Dylan. The things began to change when he came across with Christmas In the Heart, a piece released in 2009, he began to wonder his identity -- isn't he christian? Because of this abrupt question, he began immsersing himself into the world of Bob Dylan. After turning 40s, he also began reading The Bible, and Bob Dylan's songs allow him to recap the verses which he has perceived earlier. To contact Masaaki, please e-mail us or use the form below.